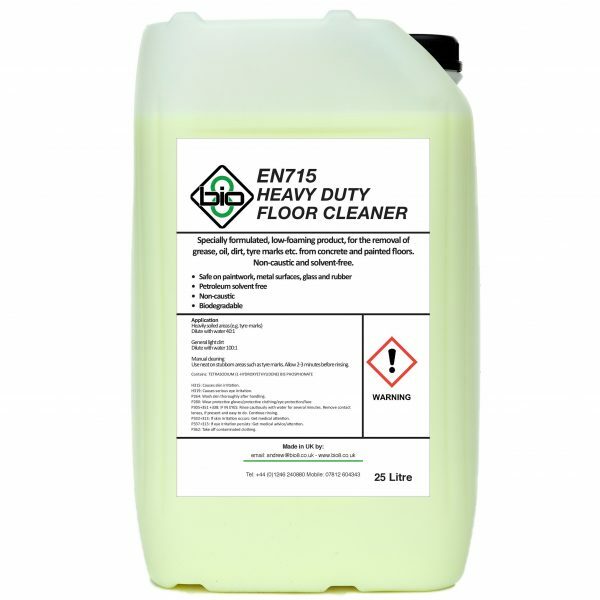 EN715 is a heavy-duty industrial floor cleaner liquid for use in scrubber dryers that cleans fork lift tyre marks. It is different to other floor cleaners, as it not only provides a superior surface clean it also leaves a coating on the surface which prevents dirt and tyre marks bonding to the surface and makes the cleaning process much quicker and easier. It was developed in conjuction with several major blue chip companies who struggled to keep their warehouse floors clean. In busy warehouse environments no sooner have you cleaned the floor than it’s dirty again from high levels of forklift traffic. Forklift tyre marks are created by the friction when they turn or brake. These marks are effectively burnt into the surface due to friction from tyres. 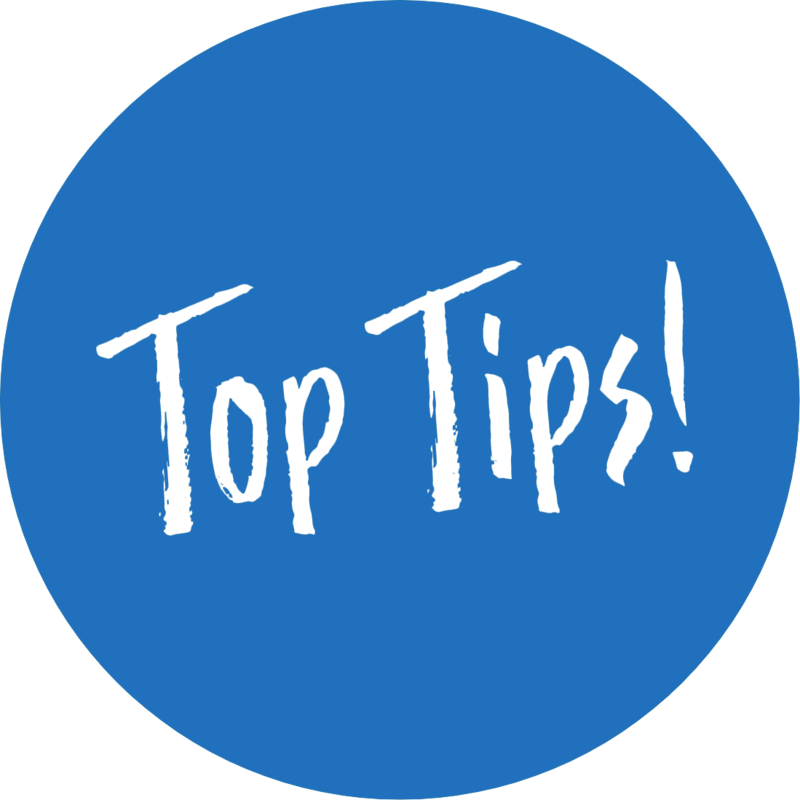 Forklift marks are difficult to clean as they are a solid state and standard floor cleaners will not have an effect on. A unique solution that uses modern advanced chemistry to combine materials which act as rubber tyre mark remover. By cleaning the tyre marks through dissolving them into a liquid, the surfactant cleans the surface at economical dilution rates. EN715 is best used in a scrubber dryer preferably using Black pads or Tynex brushes. This creates the friction for removing fork lift tyre marks in 1-2 passes. Diluted between 20:1 for initial deep cleans of historical built up tyre marks. Or up to 60:1 for general cleaning. 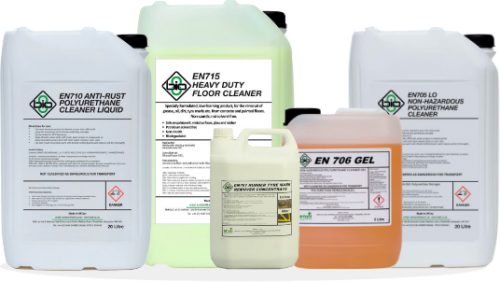 Unlike other floor cleaning products, EN715 also provides protection from tyre marks building up on the floor surface by reducing the ability of the tyres/dirt to bind with the floor surface. This means that cleaning is easier and quicker, major savings can also be made on labour. 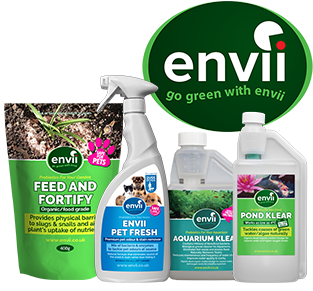 Customers have found that replacing traditional hard-surface floor cleaners with EN715 has dramatically improved cleaning performance. Floors have benefited from the superior surfactant technology in terms of general cleaning. What is best dilution rate? Will this clean tyre marks off floor?